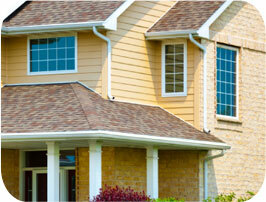 J-Tech Construction is your exterior expert for gutters, siding, windows, roofing, and doors! Also, contact us about our affordable snow removal! At J-Tech Construction, we work hard to improve the appearance and value of your greatest investment, your home. Our commitment to excellence, quality, and customer service is why we are the exterior experts. 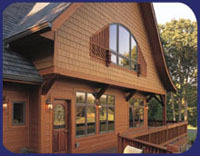 From siding and gutters to roofs, windows, doors, and snow removal, we are one company with endless capabilities. If your gutters are old, damaged, sagging, missing parts or improperly installed, it is likely exterior damage to your home is sure to follow. Don’t let this happen! A gutter that is missing, or that drains too close to the house will saturate the ground, producing mold or mildew. Don’t let this happen! Gutters aren't glamorous, but new seamless gutters from J-Tech Construction can save your home from mold, mildew, foundation damage, basement flooding, and more! Installed properly, gutters keep basements dry, preserve topsoil, protect siding from stain and rot, and shield windows and doors from water damage. Gutters seem small, but they make a big difference to the look and protection of your home! Call the exterior experts today! Call J-Tech Construction for the best value on seamless gutters in Nebraska! Winter is around the corner, call J-Tech for affordable and efficient snow removal!